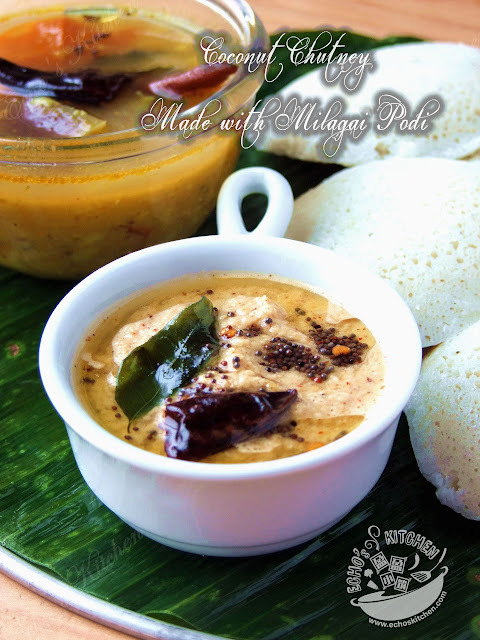 Coconut Chutney is my husband’s favorite accompaniment to go with south indian snacks like dosas and idlis. 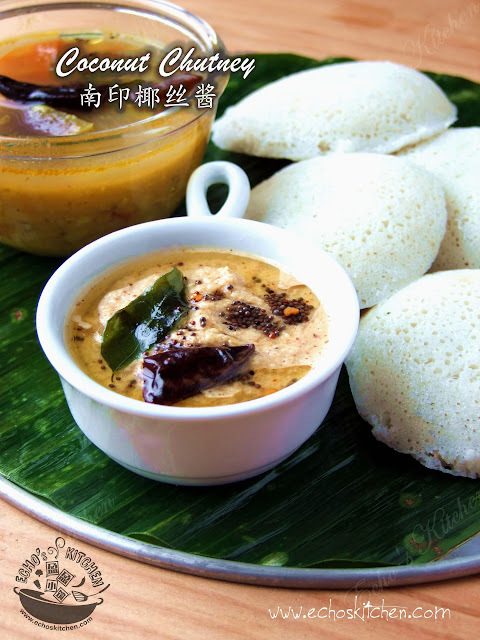 He loves his idli and dosa with coconut chutney and sambar. 1. Grind all ingredients listed under "For the Chutney" in a grinder until smooth. 2. 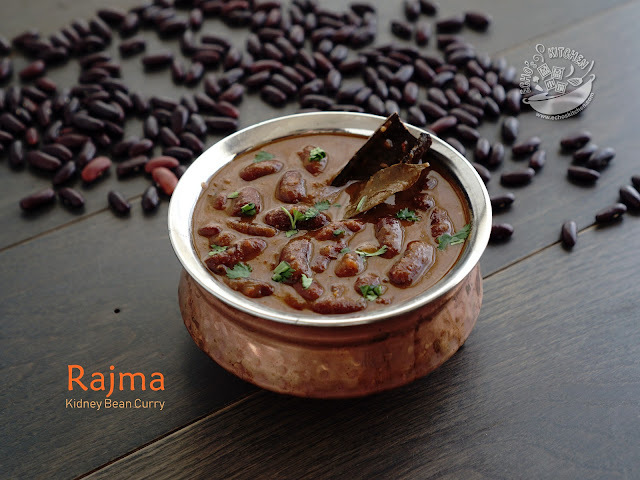 Heat oil in a small sauce pan, add all ingredients under "For tempering" and cook until mustard seeds splutter and Urad dal turn brown in color on stove. Note: If using microwave, just place all ingredients in a microwavable bowl, and microwave at high for 2.5 minutes (depending on the watts of your microwave). 3. 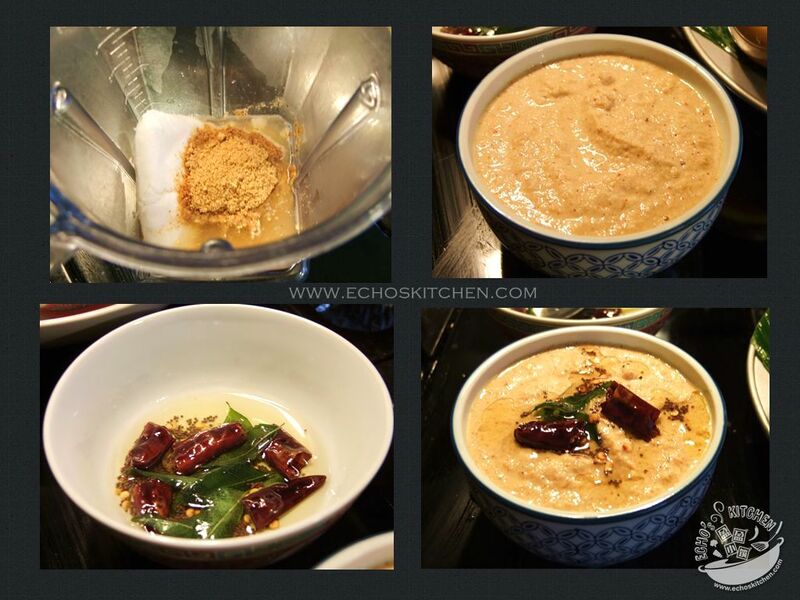 Pour the hot tempering on the coconut chutney, mix it well before serving. Happy New Year dear.... thanks and I am excited to have it with idlis and dosa!